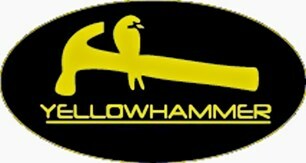 Yellow Hammer Home Improvements Ltd - Bathrooms, Builder, Kitchens based in Bletchingley, Surrey. We established Yellow Hammer because we believe that strong, reliable contracting work can coincide flawlessly with open, honest communication. We’re equally as passionate about designing, renovating and building new residential and commercial features as we are about making a difference in the lives of homeowners, property managers, business owners and the people who may be using these facilities. With all the hands-on experience, knowledge and training as the big contracting firms out there, but with the personal touch of a family owned-and-operated business, Yellow Hammer is out to be the most reliable, trustworthy and called upon contracting, repair and renovation service in the country. Located right here in the Southeast of England, we’re able to quickly and efficiently service homes, businesses and properties all of the area. Our project teams can be easily reached for free consultations and assigned projects that fit your time, budget and operating schedule. Whether you have a strict schedule for our services, need an expanded loft or structural support, or simply want to finish a bathroom or kitchen, we’ve got the tools, skills and experience to make your project look, feel and be absolutely perfect. Please call us today to arrange a quote. We’ll be happy to sit down with you for a free consultation and give you all the information you need to make a more informed decision.